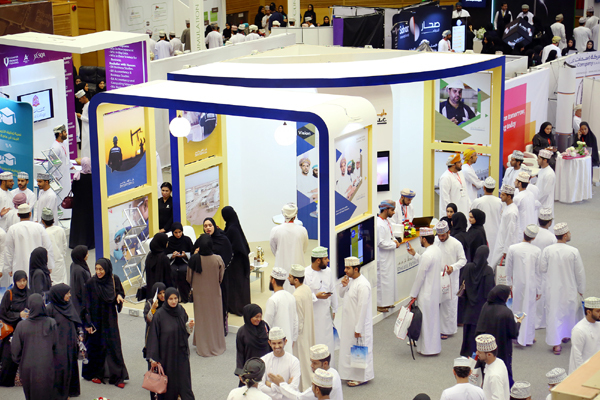 Oman-based Daleel Petroleum, a leading oil producing company, is offering job and training opportunities at the ongoing Sultan Qaboos University (SQU) Career Fair, being held in Muscat. The fair which opened on March 4, will run until March 6. The recruitment team and group of employees from different disciplines represented the company while interacting with visitors and job seekers. The available opportunities listed 36 positions targeting fresh graduates. In line with the direction of the company towards Omanisation, Daleel has already achieved an impressive 95 per cent rate. While targeting Omanis the openings are for fresh graduates to give opportunities for jobseekers. In addition, Daleel offers training opportunities for students both in Muscat Head Office and Daleel field in Al Dhahirah.